Plants are inarguably a significant component of the diets of foraging peoples in non-arctic environments. As such, the decisions and activities associated with the gathering and exploitation of plants are important to foragers' subsistence pursuits. Plant remains are particularly important for understanding gathering activities. In - as much as plant foods comprised a considerable portion of early foragers' diets, and the gathering and processing of these plant resources occupied a significant proportion of the population, namely women, children, and the elderly, an understanding of gathering activities and how they relate to use of the landscape is critical.Organic remains are poorly preserved in the acidic soils of the Southeast and are often limited or absent from open-air sites, but archaeological deposits protected within rockshelters provide an exception. Organic remains are consistently well preserved in their rain-protected deposits, and rockshelters are locations that groups repeatedly visited. 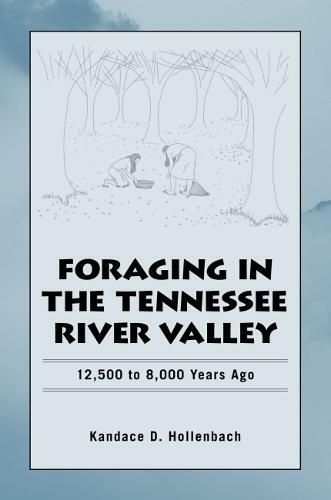 Because of this repeated use and remarkable preservation, significant quantities of well-preserved faunal and botanical remains can be recovered from rockshelter deposits.In ""Foraging"", Hollenbach analyzes and compares botanical remains from archaeological excavations in four rockshelters in the Middle Tennessee River Valley. The artifact assemblages of rockshelter and open-air sites are similar, so it is reasonable to assume that faunal and botanical assemblages would be similar, if open-air sites had comparable preservation of organic remains. The rich organic data recovered from rockshelters therefore may be considered representative of general subsistence and settlement strategies, and can significantly inform our views of lifeways of Late Paleoindian and Early Archaic peoples. The data produced from this analysis provides a valuable baseline of plant food use by early foragers in the region, and establishes a model of Late Paleoindian and Early Archaic lifeways in the Southeast. Hollenbach (Archaeological Research Laboratory, Univ. of Tennessee) focuses on reconstructing an aspect of Native American life in the southeastern US through analysis of Indian use of botanical resources. This is a time period associated with the late Paleo-Indian and Early Archaic, when these people were highly mobile foragers who would have extensively consumed plant resources, artifacts that are difficult to document in the archaeological record. The first two chapters introduce the study's goals and lay out the theoretical framework, particularly employing central place foraging theory. Chapter 3 outlines the region's ecological character, emphasizing the various resources present for human exploitation and indicating the nature of previous archaeological research. The next two chapters discuss models on how these resources could have been used, and present the database and modes of analysis available to study. Chapter 6 gives the results of the study site by site, while the final chapter describes how and when throughout the year foragers utilized the available resources. The work's importance is its focus on plant remains, which are only recovered in special circumstances and with special techniques within the archaeological record. Summing Up: Recommended. Upper-division undergraduates and above."